Apologies are in order...... I cannot find this month's kit hosted by Imke. I looked under all my piles of papers and stacks of books. Looked through my scraps of card stocks and such. I could not find her kit anywhere. My excuse is that we have been extremely busy, and the house right now is in total dissarray. BUT! I DO have something for you today... that's something, right? I have the kit that I was unable to post a couple of rounds ago...... and here it is!! 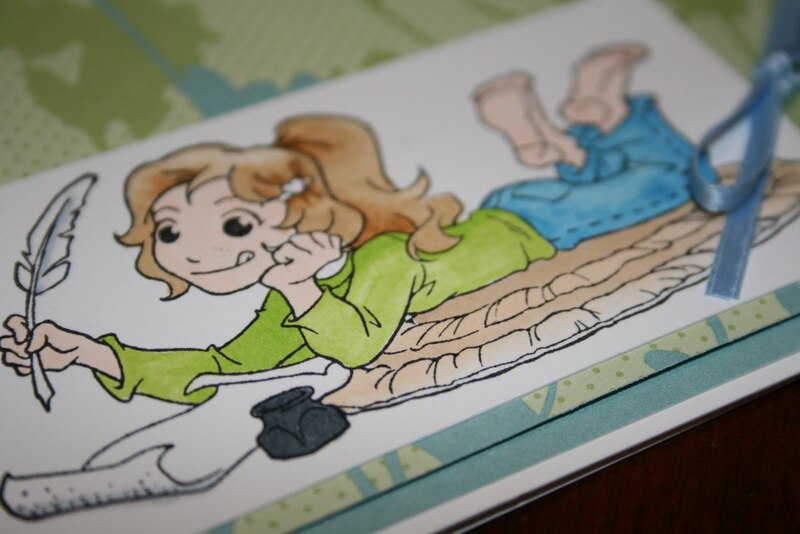 I colored the image with Copics.. a skill I still haven't mastered, but I think i'm getting better.... I have considered giving up on them altogether, simply due to thier cost! But i still have them.... it's hard to let things go eh? 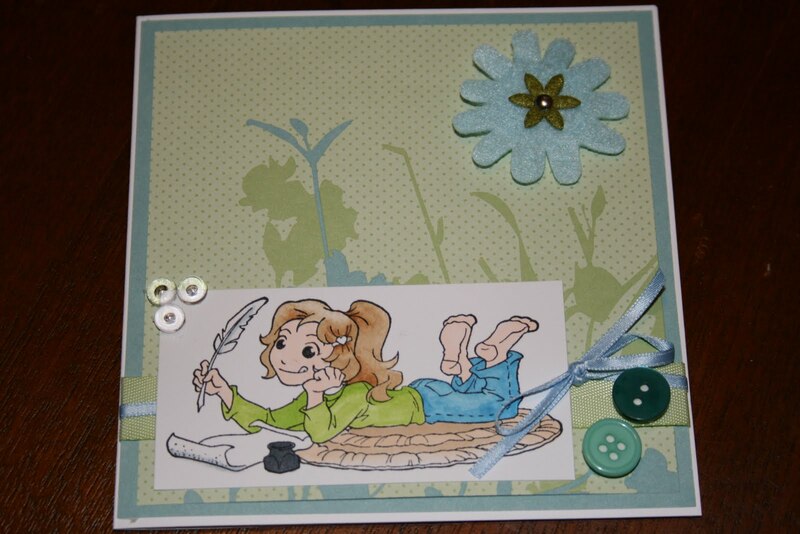 A few of the lovely embellishments from the kit, buttons, ribbon, dew drops and felt flowers... VOILA! 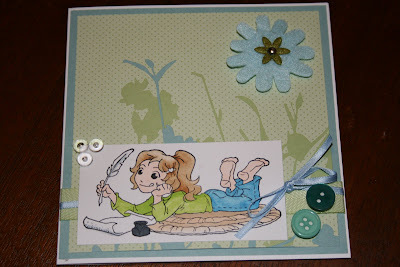 Now hop on over to the rest of the girls' blogs and have a gander at this month's ACTUAL kit!! Girl - you make me laugh and believe me, this morning I needed one badley. 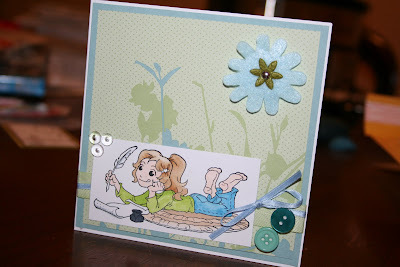 I do love what you did with this card; so much fun. What you´ve done with Tanja´s Kit is lovely. I like your coloring and your layout. Fabulous ! LOL! BTDT, Kare. Very clever of you to sub another kit. I still need to do the kit I made! eesh! I love the paper you chose to feature. Combined with the image, it gives the card a very storybook/daydream quality. Cute! How darling! Love that you colored her feet bare!!! Socks? Who need 'em! !